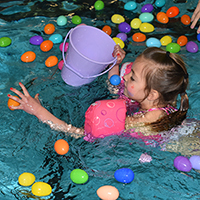 Find a golden egg and win an Easter basket! All participants will receive a goodie bag. Three age/skill groups: 0-5 years/non swimmers; 6-10 years; 11-13 years or strong swimmers. Parents are required to be in the pool or on deck assisting their child. Fun, Music, and Games! 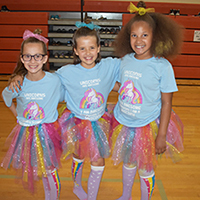 Calling all Byron 3rd - 5th grade students; it's time to grab your crazy socks and show off your dance moves to the musical entertainment of Sound Productions D.J. Ryan Nelson. Back again is the very popular 5th grade lip-sync contest! All lip-sync groups must sign up at the park district office and music must be pre-approved. Pre-registration is required. Registrations will not be accepted at the door. Head to Blackhawk Meadow Park for stories, games and parachute play. Join Mrs. Julie form the Byron Public Library and Ms. Renita from the Byron Park District for a fun-filled hour. Don't forget to bring a water bottle! Dates: Monday, June 17, July 8, and August 5. Fee: FREE- Registration is Required! Join us for the Annual Byron Fest 5K Run! 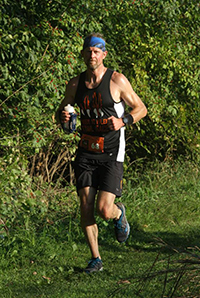 This race is held along the trails of the Byron Forest Preserve. The course offers a variety of terrain and breathtaking views of the prairie and hills. Chip timing will be utilized and splits will be provided at the one and two mile marks. Water stations will be located at or near the 1.5 mile mark and finish line. A visual timer will be displayed. Day of Registration/Check-In: 7:00 - 7:45 a.m.
5K Run/Walk: Begins promptly at 8:00 a.m. Competitive running shirts are guaranteed to participants registered by Friday, June 28th. Pre-registration is accepted through Friday, July 12 at noon. Plaques will be awarded to the top 3 male and female finishers in each age division youth to adult. Medals will be awarded to the top 3 male and female finishers in each age division, youth to adult. 5 year age divisions ages 15 and older. Special age divisions for ages 14 and under. If you have questions about this race, contact Race Director, Renita Krusey at 815-234-6492 or email rkrusey@byronparks.org. 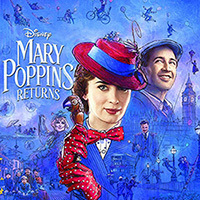 Join Presenting Sponsor Byron Bank and the Byron Park District as we wrap up summer with an outdoor showing of Mary Poppins Returns. There will be free food and games beginning at 7:00 p.m. and the evening will conclude with the movie. Messy crafts, parachute play & outdoor explorations. Join Mrs. Julie and Miss Renita at Blackhawk Meadow Park for an outdoor toddler play day. Dress for mess and wear tennis shoes. Please register a week in advance to secure your spot. Time: 10:00 - 10:45 a.m.
Fee: FREE- Registration is required. Join us for the second annual Tiger 10 Miler Trail Race! 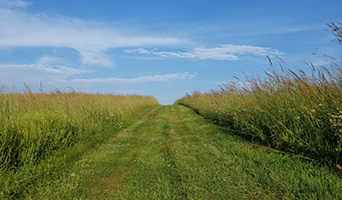 This exciting race will take runners on ten miles of twists, turns, and hills within the Byron Forest Preserve and the more secluded Nardi Equine Prairie. 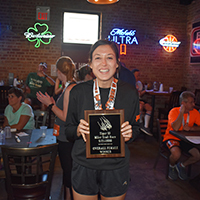 All participants will receive a custom finisher's medal, shirt and special awards will be given to the top 3 finishers in each age group. Overall male & female winners and also male and female masters winners will receive awards. This is a "cup free" race so please bring your handheld water bottle or hydration pack as we won't have paper cups at our three aid stations in order to keep our trails clean and be environmentally friendly. Time: 8:00 a.m.* - 11:00 a.m.
* Walkers are welcome and will start at 7:30am. "The early start is assigned by performance and is not done by or for convenience to competitors. The early start is out of respect to our volunteers and hopefully will shorten the amount of time they spend working on race days". If you have questions about this race, contact Race Director, Nick Warrner at 815-234-6218 or email nwarrner@byronparks.org.